Imitation Leather. Giant Type Edition. Features two columns of very large 14-point type on thin white Bible paper with notes and footnotes at the end of each book. Also includes: Bible dictionary, doctrinal index, full-color Land of the Bible section, and Constitution on Divine Revelation. Includes presentation page and family record. 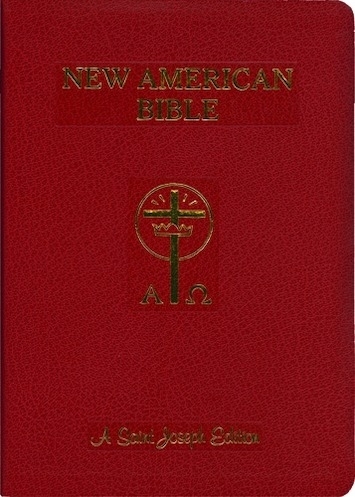 Red imitation leather binding, 7 x 10 x 2, 2280 pages.Imprimatur.